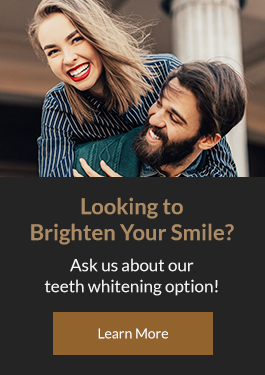 At Deer Valley Dental Care in South East (SE) Calgary, we offer a variety of restorative dental treatments to help improve the health of your smile. The restorative dental services at Deer Valley Dental Care are used to repair damage to the teeth, and can help preserve your natural teeth and overall oral health for longer. For more information about restorative dentistry, get in touch with our Calgary dentists. What types of dental problems can be repaired with restorations? Restorations can help with a number of dental problems. If left unfilled, the gap left by a missing tooth can cause surrounding teeth to shift out of place, eventually causing gum disease and misalignment issues. Worn, decayed or chipped teeth can decrease your oral function and are also very hard to clean. Repairing these teeth can help reduce the risks of oral health problems. We understand the pain and discomfort that can come along with dental problems like a chipped or broken tooth. That's why we offer a variety of restorative solutions to help ease your pain and repair the issue. We provide dental implants to replace missing teeth and help restore the appearance and function of your smile. We offer dental fillings help to repair your natural tooth and prevent any further decay from developing. We use dental crowns to restore a tooth's function and protect it from any future damage. Contact us today to inquire about the restorative dentistry services offered at Deer Valley Dental Care.